Fire is the strongest energy source that has enabled the functioning of humans' destiny. The energy borne with this source is highly powerful and regulates the life of person. Person having weak Fire quotient in his horoscope are dull and lack attractive personality are advised to use Feng Shui Fire Incense Sticks. To strengthen this quotient, we have come up with a range of Feng Shui Fire Incense Sticks that provide great help to the person. This series of Feng Shui Fire Incense Sticks are far beyond just good fragrance. Its regular use attracts the positive energy to bring good luck for the concerned person. 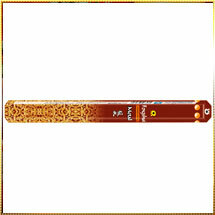 We offer our Feng Shui Fire Incense Sticks at pocket-friendly prices.